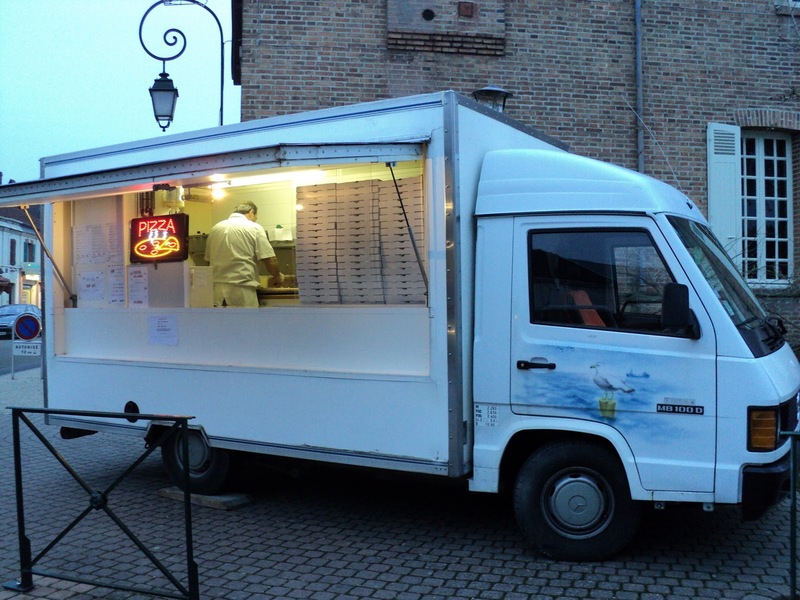 Occasionally, we enjoy what we call "truck pizza." We find them all over France... This one, the Picco Pizz, sets up near our tourism office on Fridays, Saturdays and Sundays and in nearby Jouy le Potier on Wednesdays and Marcilly en Villette on Thursdays.